South America holds many once-in-a-lifetime destinations for the ultimate bucket list. We have selected four of our favourite MUST SEE sights and regions. 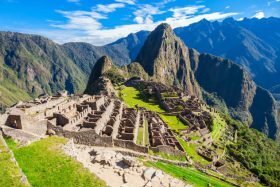 They include the spectacular Machu Picchu, the uniquely interesting Galapagos Islands, the majestic Iguazú Falls and the much under-rated region of Patagonia. Although seemingly remote, these locations are easily accessible as you cruise along the coastlines of Brazil, Argentina, Chile, Peru and beyond. You can thoroughly experience the heart and soul of South America through her unique UNESCO World Heritage-listed sites, natural wonders and vibrant, unique cities. Now is the time to be captivated by raw beauty, untouched environments and unique cultures. The archaeological heritage of the Inca and Aztecs are on par with any ancient civilisation, and have been recognised by UNESCO World Heritage. 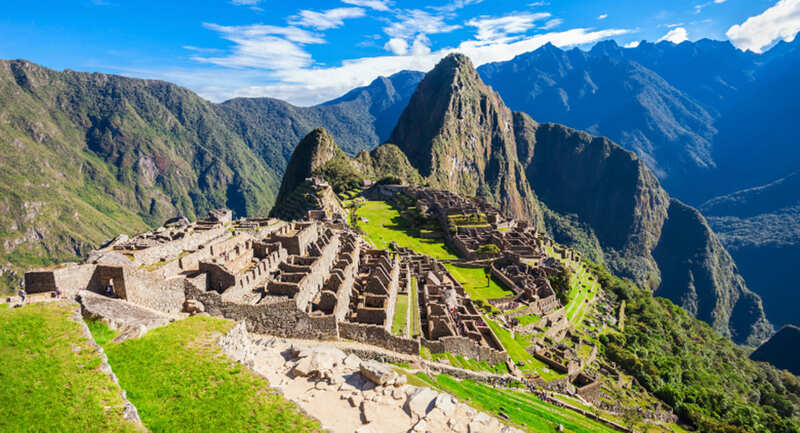 The cities of Lima and the capital of the Inca Empire – Cusco, Sacred Valley, the mystery of the Nasca Lines, and the ultimate goal of many travellers – the lost city of the Inca’s, Machu Picchu. Imagine watching the sun rise, surrounded by the snow-covered peaks of the Andes Mountains, gazing out over the “Lost City of the Inca’s” – Machu Picchu. Almost 13 hectares of granite carved blocks, precisely fitted to create palaces, houses, sun-worship temples and more. Mysteriously abandoned only 100 years after construction, this unique landmark attracts over 2000 tourists each day for that once-in-a-lifetime experience. Visiting this region can easily be achieved by ship, with many cruise itineraries allowing ample time to sightsee – most staying 1-2 days in port (check your itinerary with your consultant to be sure). For example, Princess Cruises offers a 3 day overland excursion taking in Cusco, Sacred Valley and Machu Picchu during their 17 day Andes & South America cruise onboard Emerald Princess in December 2017. Sitting astride the Equator off the coast of Ecuador is the archipelago of the Galapagos Islands. As a natural haven for many uniquely diverse animals and native vegetation, this twice-listed World Heritage area is inspiration for many, not least the famous scientist Charles Darwin. A photographers paradise, each island environment ranges from volcanic rocks to cactus laden desert, carob trees, guava and passionflower through to pristine white sand beaches and sapphire blue sparkling waters. Reptiles dominate the tiny islands, from colourful land and marine iguanas, snakes, lizards and the famous, age-old giant tortoises. The sea and shores are home to vibrantly coloured crabs, “chocolate-chip” starfish, iridescent parrotfish, hammerhead sharks, whales, dolphins and sealions, too many to count. Discover a multitude of bird life, from Darwin’s finches to the more exotic Blue Footed Booby and red breast of the Magnificent Frigate Bird. It’s home to the world’s only equatorial penguins, as well as flocks of flamingo, grebe, ducks, falcons, hawks, ospreys and kingfishers – some of which are only found here in the Galapagos. As a great place to spot the rare and unusual, we made sure to add the Galapagos Islands to our South America MUST SEEs discover and explore destinations. Iguazú Falls are located within a seemingly untouched lush, sub-tropical rainforest and national park jam-packed full of interesting and unique flora and fauna. And as a haven for more than 2,000 plant species, over 350 bird species, more than 80 types of mammals and countless insects and invertebrates – we have another nature-lovers dream destination. Set on the border between Argentina and Brazil, the UNESCO World Heritage Listed Iguazú Falls is certainly a sight to behold. This wonder of nature spans 2.7 kilometres with over 275 breathtaking, thundering waterfalls plunging up to 82metres headlong into rocks below. And, at nearly twice the size of Niagara Falls, and wider than Victoria Falls, the Iguazú Falls holds the record for the world’s largest waterfalls system. This whole region is easily accessed from Buenos Aires, an amazing city itself to tango through. Cruise lines such as Holland America Line, Silversea, MSC and Princess Cruises among others, all offer excursions for this bucket list adventure. Iguazú Falls is a true testament to the immense natural power of water – just one thing to remember… you will get wet! Every traveller yearns for a re-energising and newfound love of travel, and Patagonia is just the thing to provide that inspiration. First, be welcomed into an historic Gaucho culture, with it’s fascinating music, cuisine, clothing, customs and nomadic lifestyle. Discover the nobility and characteristics of an Argentine cattle ranching tradition that has been around since colonization by Spain and Portugal in the 16th century! Take time out to explore Patagonia’s fascinating rugged land and seascapes, starting in Argentina and Chile, sweeping south into the fragile, ice-laden southern tip of the Southern American continent. Few think of her wild, breathtaking scenery when they imagine the southern regions of South America. Yet you can explore such diverse contrasts of nature, from fjords and glaciers, to petrified forests and desert steppes, the dormant tranquility of snow-capped volcanoes and so much more – there is really no other place like it on earth. Patagonia and the remote southern tip is very popular those looking for expedition cruising and perfect for any once-in-a-lifetime adventure. Lindblad National Geographic Cruises, Celebrity Cruises and Scenic Cruises could all get you up close and personal with the grandeur and sheer inspiration of this intriguing region. Ultimately, South America’s history, natural beauty and culture is ripe for discovery. 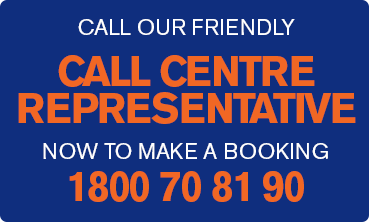 There are many cruises designed to maximise visits to these once‑in-a-lifetime destinations. Whether you want to cruise in complete luxury or more simply, there is an itinerary to suit everyone. It’s time to add South America to your bucket list and give Accor Vacation Club Cruises a call today.